The sacred scent of freshly picked Araliya and Jasmine flowers waft through the temples and kovils as the familiar call of the Koha heralds the dawn of spring with vibrant hues of chili red Erabadu flowers in bloom over the dusty pavements. 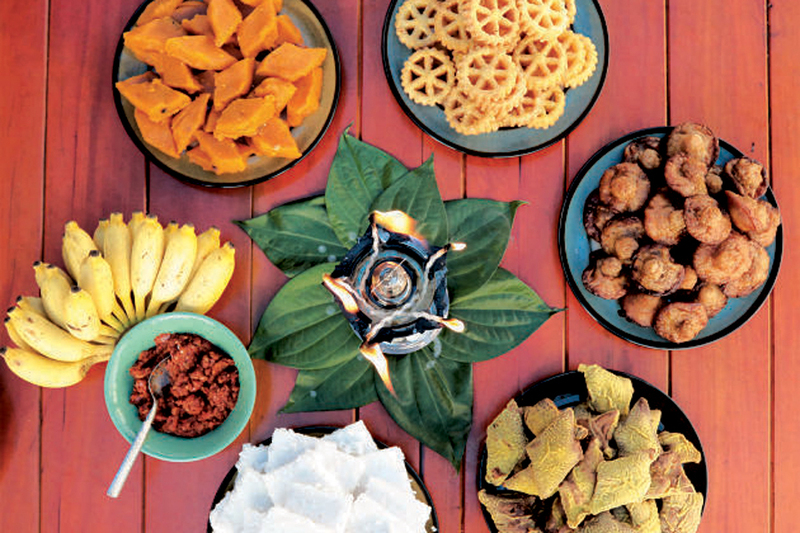 Yes, it’s beginning to look and feel a lot like Avurudu, one of the most anticipated events in the Sri Lankan calendar. What’s so precious about the Sinhalese and Tamil New Year is that no matter what ethnicity you represent, what language you speak or what faith you believe in, everyone celebrates Avurudu at some scale be it by adhering to ancient traditional rituals or just enjoying a piece of delicious Kiribath and spicy Lunu Miris with friends and family for breakfast.